Hope you are enjoying the beautiful weather. Here in Ireland we are having the hottest summer in a LONG time! Most days the temperature is way up near 30˙C. Don't think I'm cut out for this heat! As mentioned in my previous post, I am thrilled to be part of the Design Team for the new challenge blog set up Through the Purple Haze Challenges. This week the first challenge is sponsored by Indigo Blu. 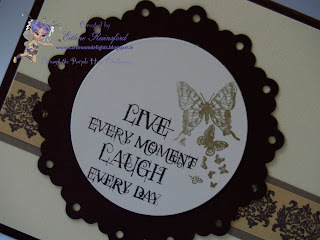 Here is my project using the beautiful Indigo Blu Live Laugh Love stamp range. From the beginning, I had awful trouble making this card - I just couldn't choose which stamp to use!! 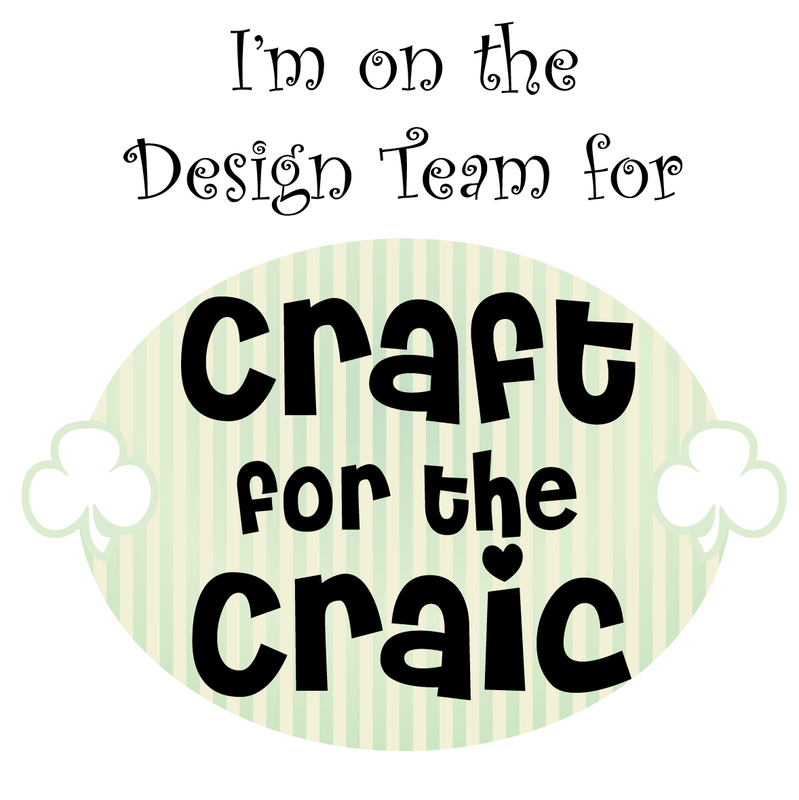 ;-) There are so many beautiful designs, and two lovely sentiments. The bird, dragonfly, butterflies and flowers are so detailed, it looks like a perfectly drawn image each time, rather than a stamped image. I am so impressed with the quality. And the ornate border? Right up my street!! I love the regal look the border gives to this card. To make this card, here are the list of "ingredients"
1) Stick cream board onto the centre of the brown folded board. 2) With the tan strip of paper, stamp the ornate border in brownand allow to dry. When dry, stick the tan strip onto the slightly bigger brown paper. 3) Stamp in brown ink two thirds of the sentiment onto the cream circle. Stamp the same two thirds onto a spare piece of paper, and carefully cut around the right side of the image to create a mask. With your mask in place, stamp the butterflies in gold ink to the right of the sentiment towards the edge of the circle. 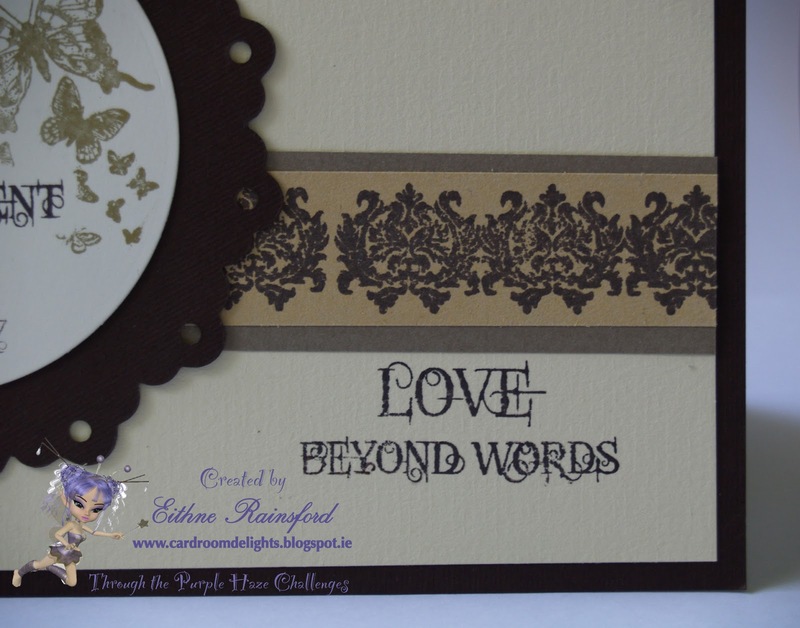 4) Stamp the last two lines "Love beyond words" onto the bottom right corner of the cream card. 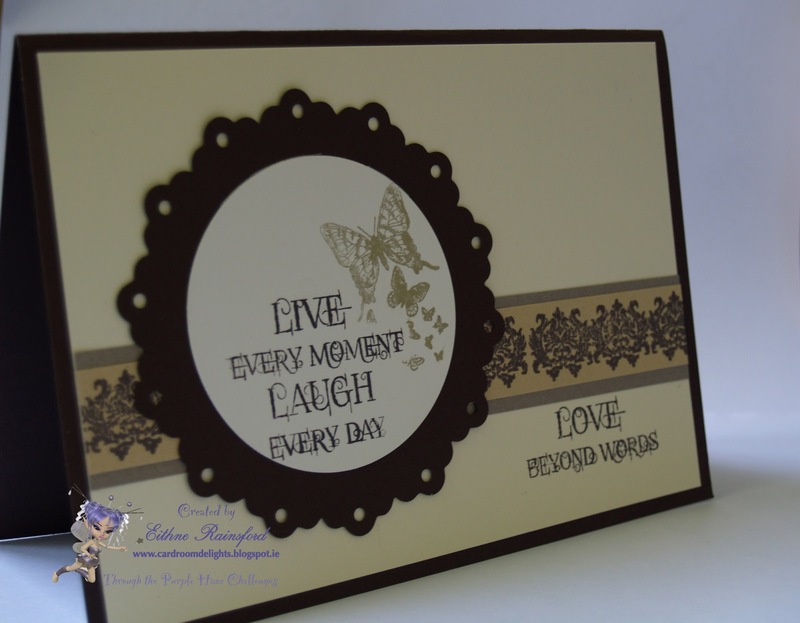 5) When all inked images are dry, stick the tan and brown strip onto the cream card, above the sentiment. Stick the cream circle centre aligned onto the brown scalloped lace circle and then stick it to the card, left aligned. Voila - Card is finished! I thoroughly enjoyed making this card for the Through the Purple Haze Challenges. Why not pop over and enter the Indigo Blu challenge for this week? If you don't have any Indigo Blu stamps, you can purchase them here or you can take part in the alternative challenge this week - "Anything Goes". Thanks for stopping by, hope you enjoyed the process! Hi Eithne! Beautiful classy card! Love how you gave such nice details on how you made your card! That is awesome! Beautiful card Eithne! Love the way you put this card together. Thank you for playing along with us at CCCB. Love your Krafty card! TFS with us at OCS.